My new batch of quilts arrived with the lovely Lisa a week ago! I completed the three smaller ones last weekend but have only just got around to taking the photos and writing blog posts about them. 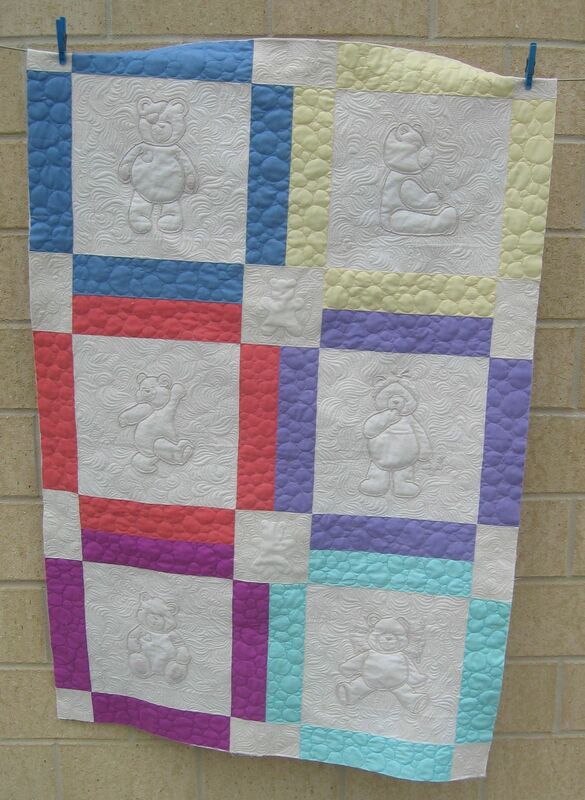 First was a pretty teddy bear quilt. 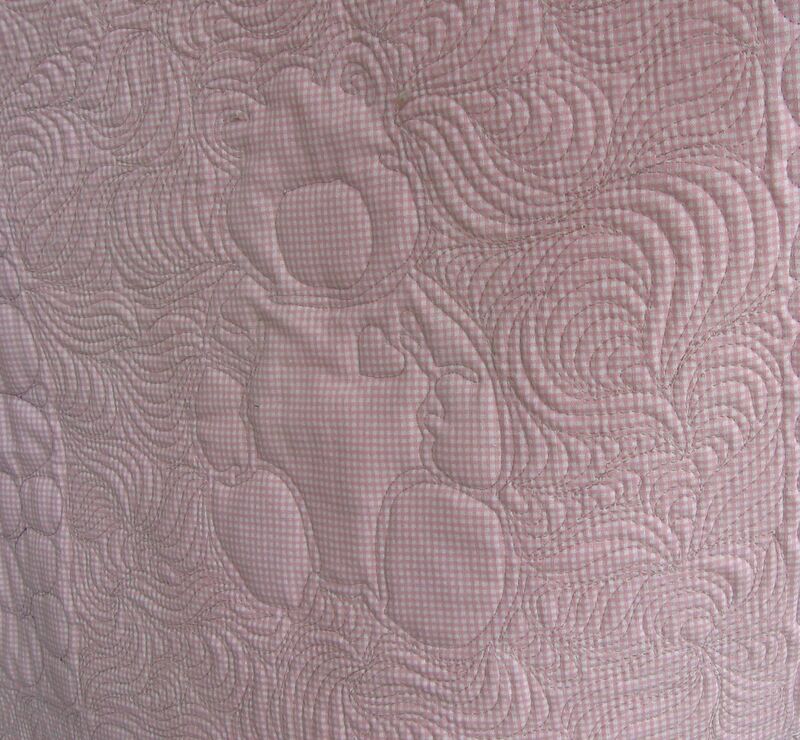 I wanted to make the hand-embroidered bears ‘pop’ (those blocks had double batting behind them, like trapunto), so I knew that tight/dense stitching around the bears would do that. I also stitched around the main bear shapes to make them pop even more. 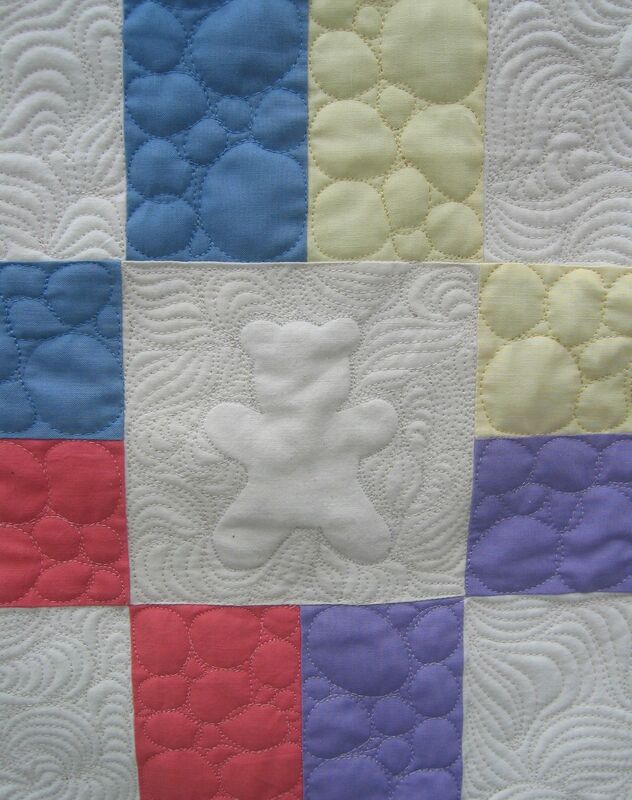 The bears were the most important element, so I used a cotton thread that blended in with the cream (calico?) background. And I decided to use MacTavishing as the tight stitch. After doing the bear blocks, the coloured borders of each block were too puffy, so my next decision was how to stitch them in a way that flattened them but with a stitch that a child might enjoy. I decided on big bubbles, in matching threads for each block (I didn’t want the bubbles to stand out too much). Gorgeous Rhonda! Love the bubbles, that was a stroke of genius – and yes that glow in the dark thread does glow – faintly, but it does!! Way cool!!!!! 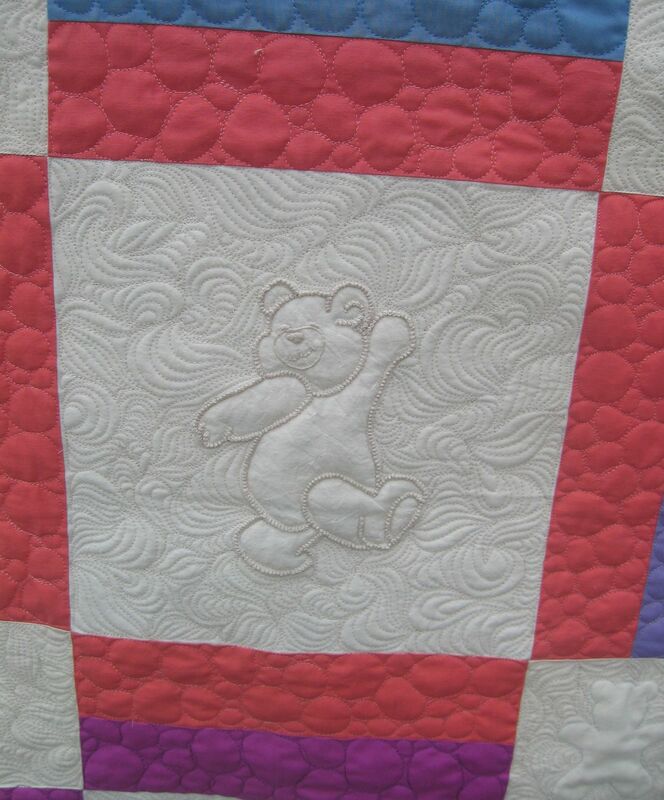 Your quilting gives me “itchy quilting fingers”……heading to the machine…..LOL!